Investing in clear industry leaders can be a fantastic long-term strategy. Industry leaders got to where they are by being fantastic businesses. They provide the products and/or services the world needs. And they provide them in a way that’s somehow superior to the competition. This can lead to superior return and dividends. I’ve personally invested in a number of industry leaders. 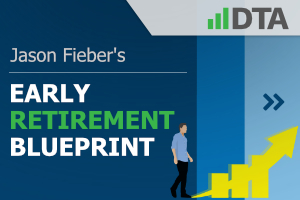 That helped me retire in my early 30s, as I break down in my Early Retirement Blueprint. 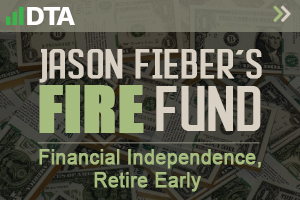 The FIRE Fund, which is my real-money early retirement stock portfolio, produces the five-figure and growing passive dividend income I need to cover my essential expenses. 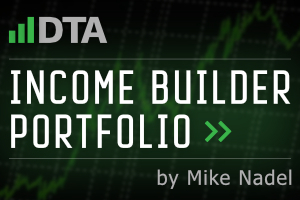 I built the bulk of this Fund in six years with a middle-class job. But I didn’t mess around with low-quality companies. 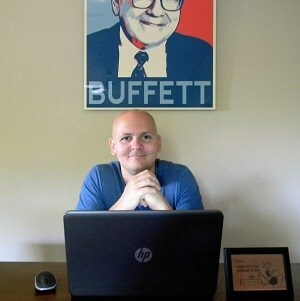 If you want a leadership position in your life, you should be thinking about leading businesses to invest in. This is one reason I love the Dividend Champions, Contenders, and Challengers list. This list has compiled more than 800 US-listed stocks that have raised their dividends each year for at least the last five consecutive years. It’s nigh impossible to run a terrible business while simultaneously paying out ever-growing cash dividend payments. The CCC list thus highlights some of the best companies in the whole world. As you might imagine, a number of clear industry leaders are on the list. However, even an industry leader might not make for a great investment if the valuation is way too high. 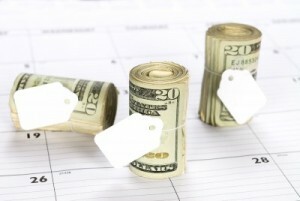 While price is what you pay, value is what you get for your money. Price and yield are inversely correlated; all else equal, a lower price will result in a higher yield. 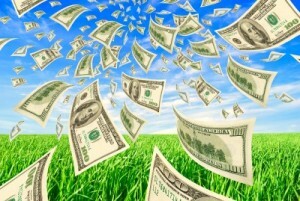 Total return is made up of capital gain and investment income. With the higher yield boosting the latter, you should be looking at greater long-term total return potential. Capital gain could be given its own boost, though, via the “upside” available between a lower price and higher intrinsic value. 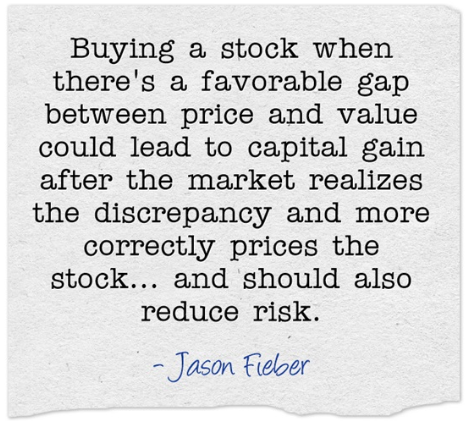 Buying a stock when there’s a favorable gap between price and value could lead to capital gain after the market realizes the discrepancy and more correctly prices the stock. Better yet, this would be on top of whatever capital gain naturally plays out as a quality company increases its profit and becomes worth more as a result. A margin of safety, or “buffer”, is introduced when estimated intrinsic value is measurably higher than the price paid. This offers an investor some downside protection against unforeseen issues that could present themselves. These issues could diminish a company’s fair value, which is why a margin of safety should always be sought. Fortunately, ascertaining an estimate of a company’s intrinsic value isn’t an extremely difficult endeavor. Fellow contributor Dave Van Knapp even put together a template that can be applied to almost any dividend growth stock out there. Part of an overarching series of “lessons” on dividend growth investing, Lesson 11: Valuation is a fantastic tool for estimating intrinsic value. Lockheed Martin Corporation (LMT) is the world’s largest defense contractor. I mentioned industry leaders earlier on. Well, this is a pretty clear example of a clear industry leader. In terms of military weapons makers, Lockheed Martin stands alone at the top. They produce an arsenal of major military aircraft, including the F-35 Lightning II, the F-22 Raptor, the F-16 Fighting Falcon, the SH-60 Seahawk. They also provide a variety of offensive and defensive weapons, including missiles, missile defense systems, and electronics. The F-35, a fifth-generation combat aircraft, is the largest and most expensive military weapons system in the world. Systems, 27%; Space Systems, 18%; Missiles & Fire Control, 15%. The US Department of Defense accounts for approximately 60% of sales. 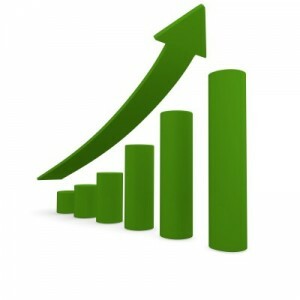 International sales account for approximately 30% of revenue. The remaining 10% comes from various US government agencies. It’s tough to think of an investment thesis that has more long-term certainty than the world needing the products that Lockheed Martin produces. One might wish the world were a Utopia and didn’t require weapons, but we invest in reality. Indeed, President Donald Trump just recently proposed a FY 2020 $750 billion Defense budget – a sizable increase over the $716 billion for FY 2019. The odds seem quite low that the US – and the world – will be spending less money on their defense needs a decade from now. This bodes well for Lockheed Martin Corporation and its shareholders, especially in terms of their ability to pay an increasing dividend. The company has increased its dividend for 16 consecutive years. With an amazing 10-year dividend growth rate of 16.2%, shareholders should be more than pleased with their income growth. Plus, the stock yields 2.97% right now. So we’re looking at a total return well into the double digits here, assuming no change in the multiple and continued double-digit dividend growth. It’s more than reasonable to expect very strong dividend growth to continue. The payout ratio is 50%, which is, in my opinion, a “perfect” payout ratio. It’s a perfectly balanced harmony between returning cash to shareholders and retaining profit for internal investment and growth. These dividend metrics are outstanding across the board. In order to build out future expectations, which will greatly aid us when the time comes to value the stock, we’ll look at what the company has done over the last decade in terms of top-line and bottom-line growth. Then we’ll compare that to a near-term professional growth forecast. Blending the known past with the estimated future in this manner gives us an opportunity to decide what kind of earnings power the company has. That earnings power will have a lot to say about dividend growth. Lockheed Martin Corporation grew its revenue from $45.189 billion in FY 2009 to $53.762 billion in FY 2018. That’s a compound annual growth rate of 1.95%. Revenue is mostly flat here, but I think it’s important to keep a couple things in mind. First, the Great Recession starts this time frame off. That was one of the worst economic crises we’ve ever seen. Second, US budget sequestration in 2013 led to significant cuts in federal spending. This hit Lockheed Martin Corporation (and other defense contractors) particularly hard, leading to a drop, then a stagnation, in revenue. However, the company started moving in the right direction in FY 2016. And with the F-35 program (about 1/4 of the company’s sales) finally coming into its own, the company’s results and its stock could be ready for takeoff (pun intended). Earnings per share advanced from $7.64 to $17.59 over this period, which is a CAGR of 9.71%. The excess bottom-line growth was fueled by a combination of share buybacks and margin expansion. For reference, the outstanding share count has been reduced by approximately 26% over the last 10 years. Looking forward, CFRA is predicting that Lockheed Martin Corporation will compound its EPS at an annual rate of 13% over the next three years. This EPS growth acceleration thesis is based on a lower tax rate (due to US tax reform), increased US defense spending, the massive F-35 program, and healthy international sales. Furthermore, the company has a record backlog of $130.5 billion. I don’t believe this is an unrealistic view on Lockheed Martin Corporation’s growth prospects over the near term. Growth had stalled a bit about seven years ago due to aforementioned US spending issues, but the last five years have been impressive. Regardless, the company is set up for excellent dividend growth. Even if they fall short of this forecast and come in something closer to what they’ve done over the last decade, shareholders could still easily be looking at double-digit dividend growth for the foreseeable future. However, if they do come in closer to CFRA’s forecast, the dividend raises could be massive. Moving over to the balance sheet, the company is unsurprisingly leveraged. After all, it’s a capital-intensive business. But I don’t believe the balance sheet or overall leverage is in any way problematic. The long-term debt/equity ratio, at 9.04, is extremely high. But that’s largely because of low common equity (due to buybacks), not an inordinate amount of long-term debt. Cash on hand is a bit low, but an interest coverage ratio of over 9 indicates no issues with their ability to cover their obligations. I will say that the balance sheet has deteriorated in recent years, mostly due to the $9 billion acquisition of Sikorsky Aircraft business from United Technologies Corporation (UTX) in 2015. As such, I’d like to see some improvement here at some point. Profitability is solid, but they do trail some major competitors. Over the last five years, the company has averaged annual net margin of 8.05%. 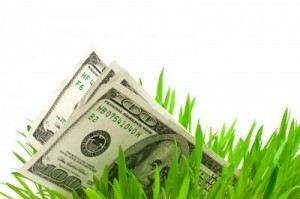 Return on equity is no longer applicable due to the low common equity. Overall, there’s a lot to like about Lockheed Martin Corporation. It’s a clear industry leader in an industry where scale matters. We’re talking about fighter jets and major defense systems here. The barriers to entry are massive due to the products and sensitive technology in question, as well as the relationships developed across international governments. The company’s performance has been great over what was a very challenging decade. This positions them for even better performance over the next decade, with greater US defense spending, a massive F-35 project, and a lower tax base all acting as gusting tailwinds for the business. There are some risks to consider, however. Regulation, competition, and litigation are omnipresent risks. That goes for any business. But it’s particularly the case here. I see unique geopolitical risk as a major consideration here. The company must continue to deftly navigate its relationships with numerous government entities. In addition, any major setbacks with its programs, especially the F-35 program, could reduce growth. All in all, I see it as a blue-chip defense contractor. It’s a high-quality stock that should continue to pump out growing dividends for many years, all on top of a very appealing yield. It’s trading hands for a P/E ratio of 16.86, which is well below the broader market, industry average, as well as the stock’s own five-year average P/E ratio of 23.5. I don’t necessarily see that P/E ratio comparison as totally valid, though, due to recent oscillation in results and skewing of the ratio. The P/S ratio is right in line with its five-year average, but that also might not be a great comparison due to a growth acceleration that’s playing out. For further context, the yield is almost 20 basis points higher than its five-year average. So the stock looks slightly cheap here. What would a rational estimate of intrinsic value look like? I factored in a 10% discount rate and a long-term dividend growth rate of 8%. That DGR I used is in line with what I’ve used with other major defense contractors. Lockheed Martin Corporation’s growth profile beats out the likes of Raytheon Company (RTN), but the balance sheet and margins don’t compare as well. Also, the payout ratio here is higher than competitors. I balanced these aspects out against one another. The forecast for growth moving forward, along with that “perfect” payout ratio, sets us up for at least 8% dividend growth. There would almost have to be a collapse in the company’s earnings (unlikely with a record backlog) for the dividend growth to come in well below this mark over the next 10 or so years. The DDM analysis gives me a fair value of $475.20. I came out with an aggressive number here, but I don’t see Lockheed Martin Corporation as notably lagging its competition in terms of growth. If anything, they’re better in this department. Morningstar rates LMT as a 3-star stock, with a fair value estimate of $328.00. CFRA rates LMT as a 5-star “STRONG BUY”, with a 12-month target price of $385.00. I came out high on this one, which is opposite of where I’ve come out with the other defense contractors. Nonetheless, averaging the three numbers gives us a final valuation of $396.06. That’s close to the latter firm’s number and would indicate the stock is possibly 34% undervalued right now. Bottom line: Lockheed Martin Corporation (LMT) is a high-quality company and industry leader. It has numerous tailwinds at its back, which should accelerate growth across the business. With a ~3% yield, double-digit long-term dividend growth, “perfect” payout ratio, and potential that shares are 34% undervalued, dividend growth investors should look to defend their portfolios by picking up this stock. Note from DTA: How safe is LMT’s dividend? We ran the stock through Simply Safe Dividends, and as we go to press, its Dividend Safety Score is 82. Dividend Safety Scores range from 0 to 100. A score of 50 is average, 75 or higher is excellent, and 25 or lower is weak. With this in mind, LMT’s dividend appears very safe with an extremely unlikely risk of being cut. Learn more about Dividend Safety Scores here.